I stumbled over my response. For some reason, I couldn’t muster the strength to simply say, “yes.” Yet to tell her it was a “family residential facility” would be to collude with the private prison corporations and the Obama administration’s strategic efforts to perpetuate this confusion. I was spending a week volunteering as a Spanish language interpreter at the detention center. Immigration lawyer Claire Thomas and I had made the trip from New York as part of a rotating cast of volunteers assisting the CARA Pro Bono Project. In our daily work with CARA at the center’s Visitation Trailer, we helped detained women prepare for Credible Fear Interviews (CFIs), during which they appear before an asylum officer and attempt to show that they have a well-founded fear of persecution if they are sent back to their home countries. While the criteria for a successful CFI derive from political asylum laws, women who pass the interview are not granted asylum. Instead, they become eligible for release on bond or with an ankle monitor so that they can eventually apply for political asylum in another part of the United States. Every aspect of this process—the right to have CFI’s conducted in detention in the first place, the right not to have children present while mothers discuss histories of violence, the right for a successful CFI to constitute grounds for release, and the right to a modicum of reasonableness for bond determinations—each of these rights has been (tenuously) secured only thanks to the tireless advocacy and vigilance of CARA and related organizations. The euphemisms surrounding family detention ultimately stem from the ambiguous legal status of this practice. In 2009, the Obama administration scrapped its initial foray into family detention after settling a lawsuit admitting violations in its treatment of immigrant minors. 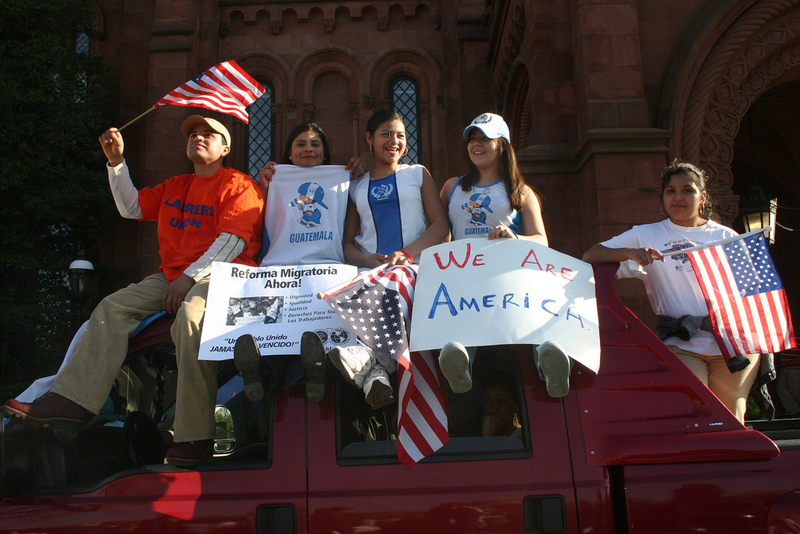 In 2014, in the wake of the “surge” of Central American families and unaccompanied minors apprehended at the border, the administration resumed family detention, justifying this reversal by characterizing these families as illegal border crossers subject to expedited removal (i.e., swift deportation without access to a judicial hearing). This contention became hard to sustain given that the vast majority of families, when interviewed, could prove a credible fear of returning, and were thus owed the opportunity to apply for asylum under domestic and international law. DHS also rationalized family detention as a way of deterring other families from migrating, but this reasoning, too, was forcefully struck down in court. The administration is now in the awkward position of admitting that detained families have valid claims yet defending detention as a kind of benign bureaucratic procedure. 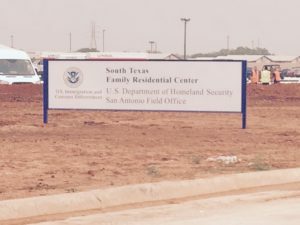 DHS now calls family prisons “processing” centers and cites seemingly innocuous goals such as “confirm[ing] accurate address and sponsor information” and providing women “education about their rights and responsibilities.” It is well known that detention is the most expensive and inefficient option for processing asylum claims. The companies that administer the centers, however, find this business extremely lucrative. Submitting family detention to any efficiency calculus only exposes the underlying profit-motive. Even setting aside the pretense of expediency, the notion that imprisonment could ever be understood through a purely administrative lens is belied by the government’s own invocation of the logic of deterrence. While empirically lacking evidence, the government’s former reliance on this logic clearly stemmed from a correct understanding that detention is categorically and inescapably punitive. Indeed, as legal anthropologist Pat Carlen once wrote, it is only in the abstract that a person “can conceivably be both innocent and prisoner.” In practice, incarceration sends an unambiguous message of condemnation by undermining privacy, dignity, freedom of movement, and social identity. Confined to the prison’s Visitation Trailer, I was prohibited from observing the full scope of such indignities or from attesting to the inadequate nutrition, deplorable medical conditions and sexual abuse that others have documented in these facilities. Instead, my colleagues and I had access only to what is arguably the most positive aspect of family detention, the CFI process. While it is an unquestionable achievement that families can now avail themselves of this right, I was struck by the cruelty of forcing families to do so within the context of their imprisonment. Federal courts have raised cautions about the validity of CFI’s conducted in detention, noting that detainees are “likely to be more unprepared, more vulnerable and more wary of government officials” in such a setting. Yet even if CFI’s could be conducted in the most expert manner possible, the more fundamental problem remains. No reform to family detention will ever rectify the basic absurdity of a system that claims to offer protection through punishment, care through incarceration. The benevolent image of a U.S. government that will intervene to protect a persecuted person from harm is entirely anathema to the state that shackles asylum seekers at the border and locks up their children. Women arrive at “Baby Jail” having just experienced that betrayal. 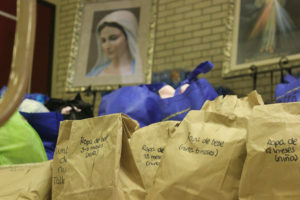 Perhaps the most egregious story I heard in this respect was Isabela’s. When we met her at the Visitation Trailer, she was visibly shaken. She told us that she had proactively presented herself to immigration authorities at the border and told them that she feared returning to Guatemala. She also said she wished to see her husband, a legal permanent resident in Virginia. The border agents put her and her son on a plane and told her they would be in Virginia soon. However, she and her son were not being sent to Virginia, but instead were bound for San Antonio where they were escorted onto a prison bus and taken to “Baby Jail.” Isabela told us that throughout this journey she pleaded with several officers to tell her where they were being taken. The officers refused. Terrified, she came to the conclusion that she was being kidnapped, and it took several days after she had arrived at the detention center for her to shake that suspicion. Given Guatemala’s history of political kidnapping and disappearances, it may seem that Isabela imported that history into the United States like so much cultural baggage. Yet it is also true that by treating her as they did, it was the representatives of the U.S. immigration system who reproduced the tactics of terror that Central Americans are currently fleeing. In the name of enforcing the border, we also tend to dissolve it. After reassuring Isabela that she was “safe,” we asked her to speak openly and candidly to agents of the same government that had psychologically terrorized her. Indeed, part of our job as volunteers was to attempt to shoulder this tremendous contradiction by reassuring detainees that the asylum office is institutionally separate from the enforcement wing of our immigration system (a difficult pill to swallow, I thought, when the “asylum office” and the “courtroom” are located inside a prison complex in one undifferentiated grid of identical trailers). To win their freedom, these women have to relive traumas for an audience of bureaucrats, answering factual questions that may seem irrelevant, hostile, or invasive. Such is the difficult task of applying for asylum in any context, but it becomes that much more difficult—arguably, it becomes a form of punishment in itself—when one is forced to undertake it under conditions of deprivation. It is one thing to withstand interrogation. It is quite another to do so after everything that makes a person whole—community, identity, freedom—has been systematically stripped away. Maribel, another woman we assisted, was a case in point. Soft-spoken and shy, she gave few and partial responses to our questions about why she had left El Salvador and still feared returning. Having failed her CFI, she was now facing the immigration judge for a chance to have that decision reviewed. Claire and I were led by guards to a nearby trailer set up to appear like a courtroom. While to me this courtroom looked like a rather half-hearted parody of the legal process, I was all too aware that, for Maribel, its authority was entirely real. Whereas in a typical adversarial process the two parties are seated on either side of the room, here there was a prison guard sitting on one side, and on the other side an empty desk was installed like a placeholder for the absent balance of the scales of justice. There were rows of benches welcoming an imaginary audience. Any interested member of the public who cared to witness the proceedings would, of course, be prohibited from entering the premises. And where the judicial bench would typically be, there was an entertainment console with a giant screen on top feeding us the image by videoconference of a judge, a Department of Homeland Security attorney, and a Spanish language interpreter—all seated in a room somewhere in Miami. 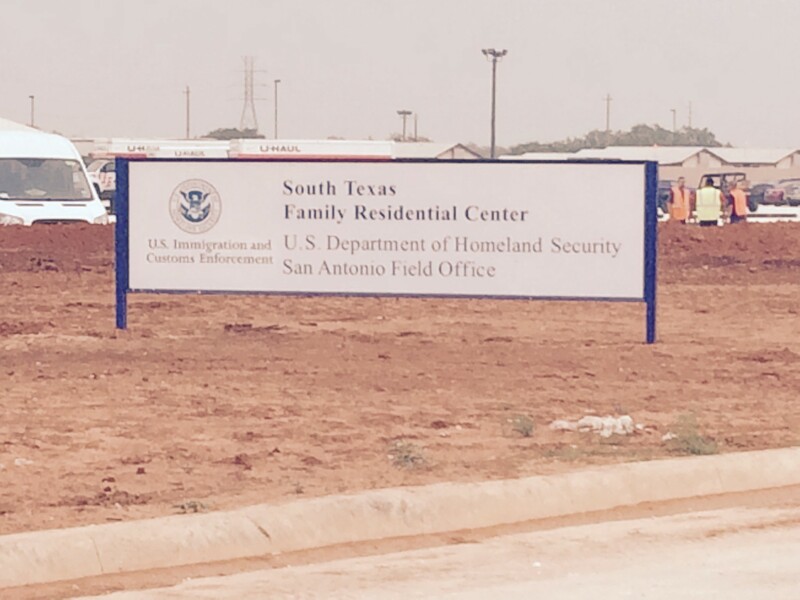 Justice, it seemed, could only be virtual inside family detention. Through the concentrated efforts of the CARA team and an outside psychiatrist, Maribel would later reveal a complicated history of sexual abuse that motivated her decision to flee El Salvador. The psychiatrist diagnosed significant post-traumatic stress disorder alongside cognitive disabilities, noting that these issues made it extremely difficult for her to discuss her life in El Salvador. Relatives in Honduras whom we contacted by phone told us that gang members had come to Maribel’s home asking of her whereabouts and threatening her life. But in the court that day, before any of these facts had emerged, Maribel gave the same partial testimony she had given to the asylum officer. She had the courage to state that she was nervous. The judge responded, as if in good humor, that he “had a dentist appointment later,” so “no one [was] more nervous than [he].” Finding no reason to overturn the asylum officer’s decision, he ordered her to be deported—or rather, stated that he would send the case to Immigration and Customs Enforcement to “do what they do.” Months later, Maribel and her children are still detained in another facility and may be deported any day. Every week, Claire and I check the detainee database and pray it hasn’t happened yet. Carlen, Pat. Magistrates’ justice. Ed. C. M. Campbell. M. Robertson, 1976, p. 32.